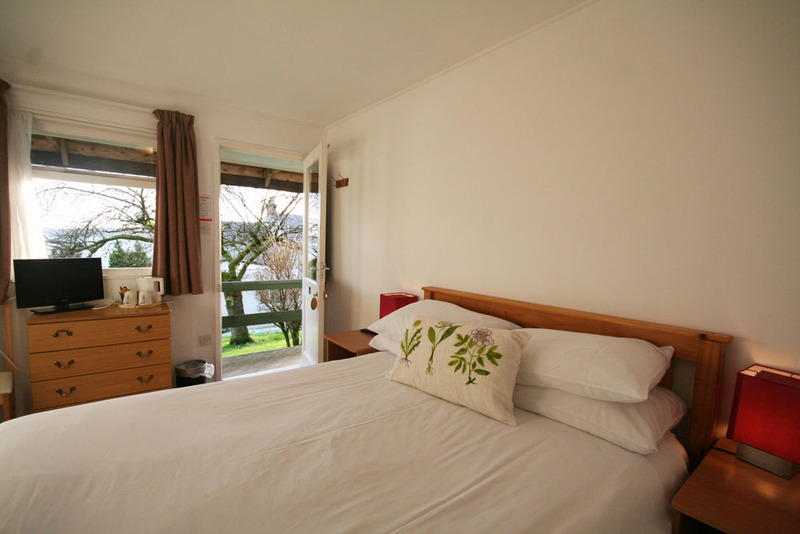 Basic accommodation for the people who love to explore our island. Clean, comfortable and affordable. All sleep huts are en-suite with bedding provided. We have 25 sleep huts - book a single, twin or double en-suite private room or book all of them for an event. Book online or Tel: 01770 600 468 or Iain on 07825959784. Check in from 2pm, Check out 10am Arran Sleep Hut Reception is on the right hand side of The Arran Lodge, Lamlash, Isle of Arran, Scotland. 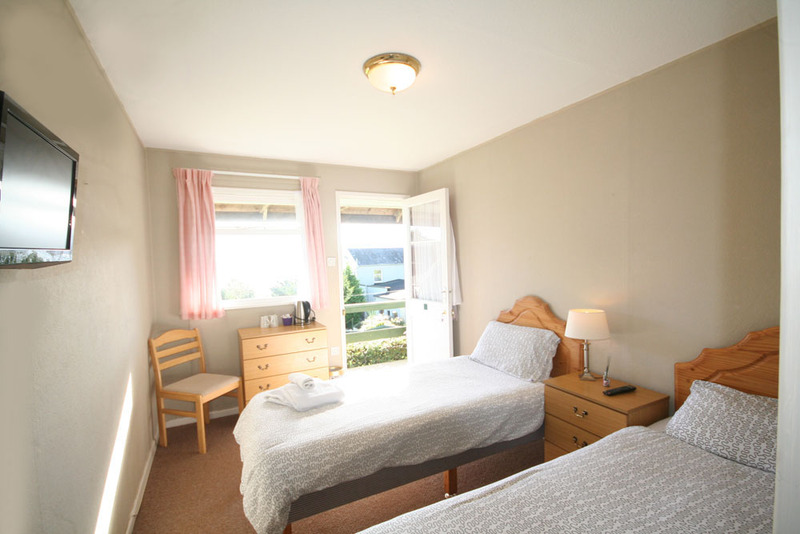 In total with the Arran Lodge we can accommodate 60 people in 20 single and 20 double rooms. A great venue for a celebration! 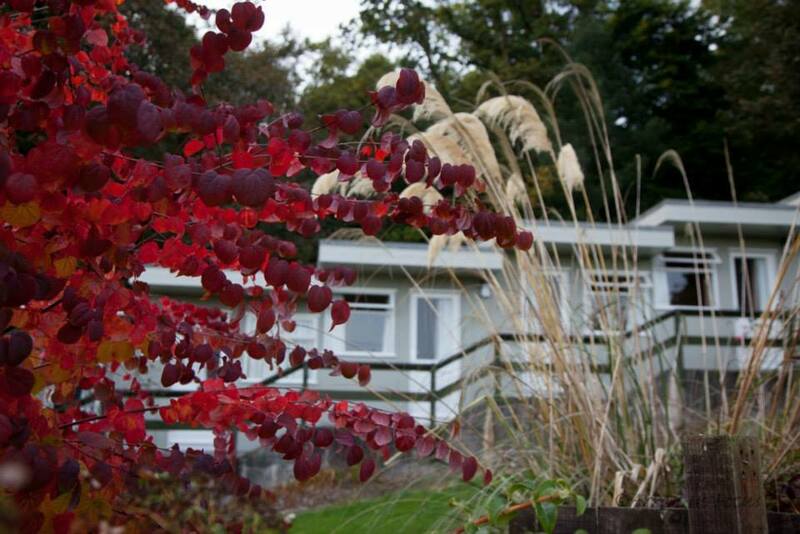 Self Catering: The sleep huts have their own cook house where you can prepare your own meals. 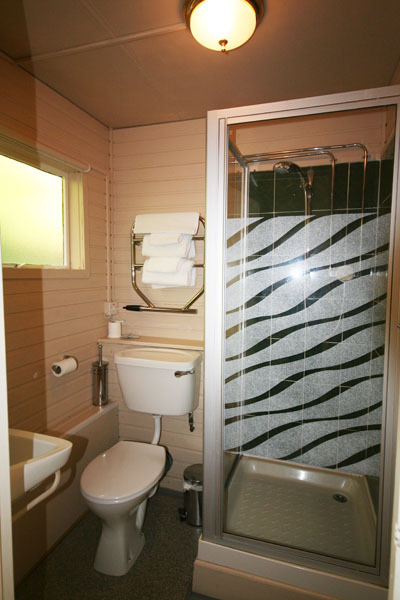 A private room with a comfy bed, kettle, flat screen TV and an en-suite toilet and shower with plenty of hot water. Whether you’re traveling on a budget or if you just want to get a bit closer to nature, you can’t do much better than a private, en-suite sleep hut with shared balcony. Location: We are in Lamlash, 10 mins drive from Brodick ferry terminal. 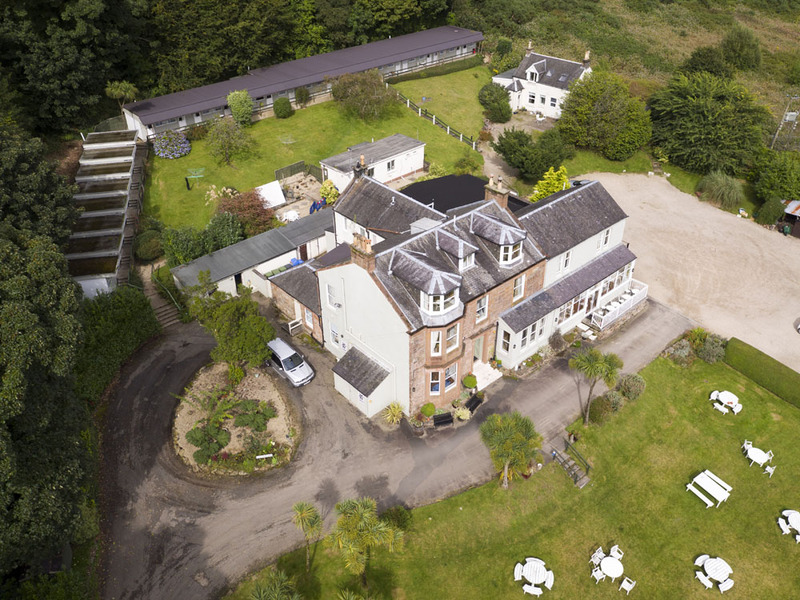 Set in secluded private grounds up a wooded track situated behind our sister company The Arran Lodge at Altachorvie, which is available for individual room only accommodation and self catering for 25 people. 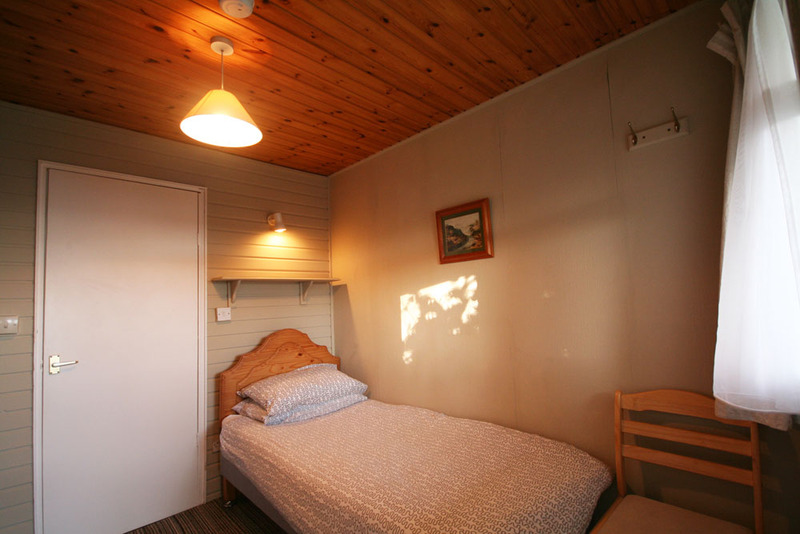 Arran Sleep Huts are ideal for hill walkers, we are very close to the Arran Coastal Way round Arran Walk, the Lamlash golf course and many mountain bike trails. Well behaved dogs are allowed for a surcharge. 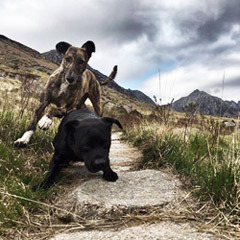 Our Sleep Huts are all dog friendly. Enjoy our island with your furry friend.